The moon has just started to wane, but it’s still playing with our water levels a bit so the first trip launched out of the fishing hub that is Gansbaai Harbour. This launch always entails a trip around the infamous Danger Point, where some say The Flying Dutchman pirate ship was spotted many many moons ago. 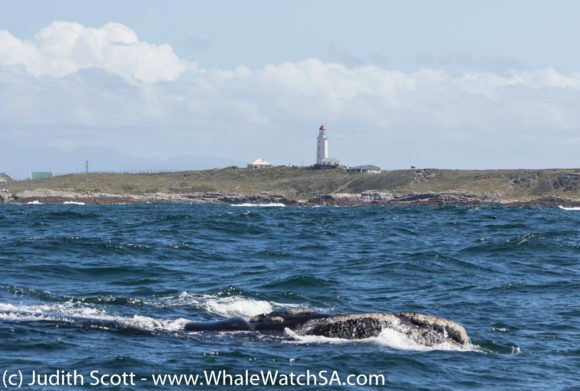 We found our first Southern Right Whales just around this point. Here we had a group of adults who seemed to be enjoying each other’s company, evident by all the rolling around that was taking place. We also had a Brindle animal in this group, which is always a special addition to any sighting. 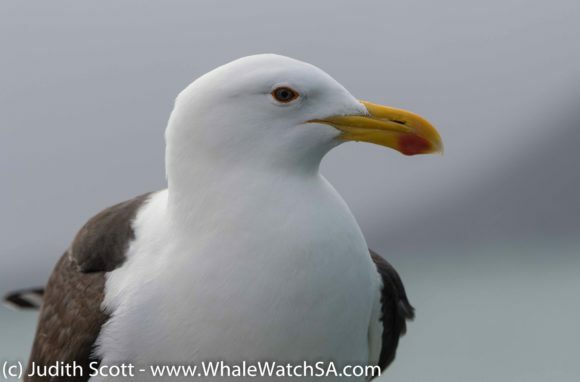 Although it is not impossible to find this lighter colouration in other Southern Right populations, we seem to have quite a few more gracing our shores than anywhere else in the Southern Hemisphere. 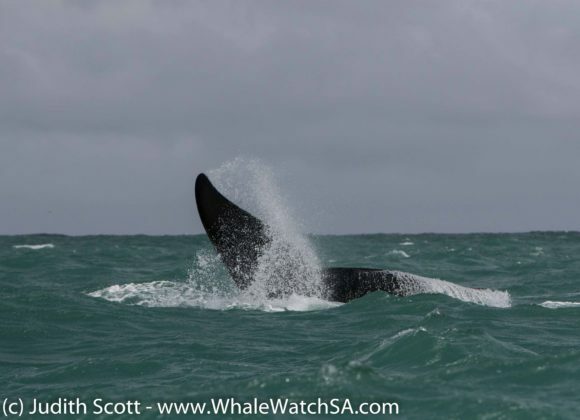 During our time with this group, we also had some of these gentle giants give us a breach! 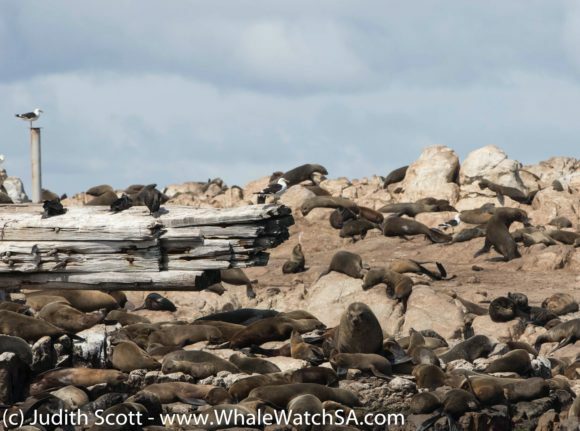 One could not ask for any more of a whale, after watching it throw its 60 ton self out the water, so we head on towards Dyer Island for our Cape Fur Seals and in the hopes of spotting an endangered African Penguin. 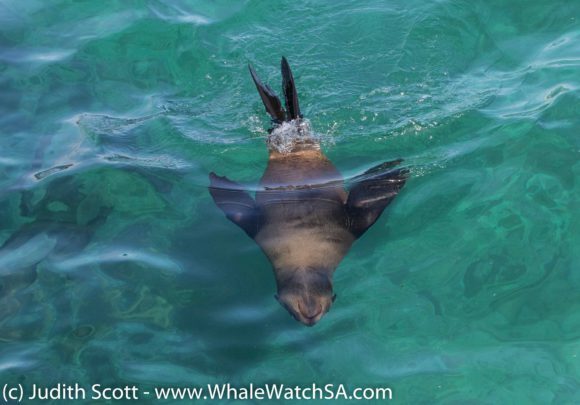 The second trip of the day launched out of Kleinbaai Harbour a little later on in the day. 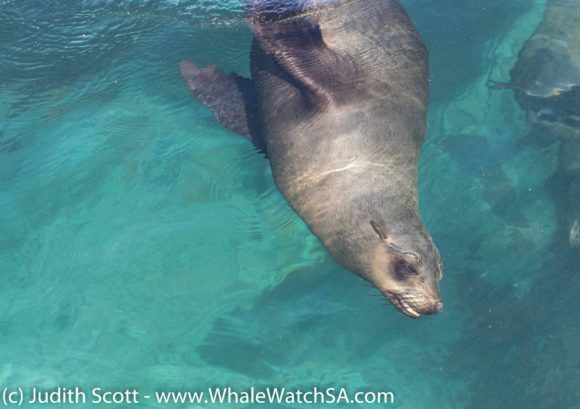 This trip saw us heading into the shallow waters of Jouberts Dam to spot some wildlife. 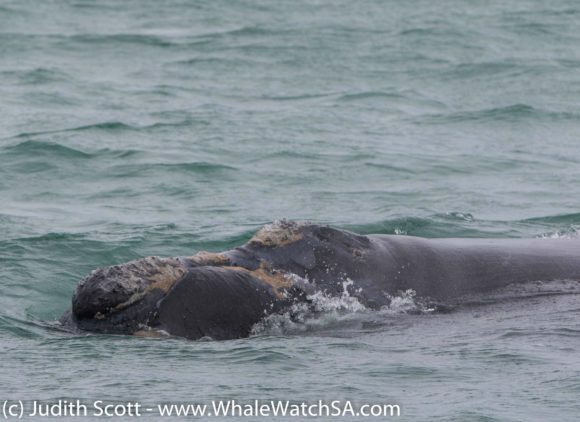 We came across a mother and calf pair of right whales and we were super lucky to have found them. 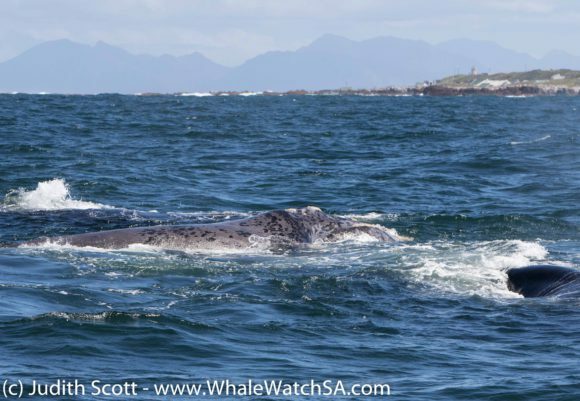 The mother whale was a real show off and spend the sighting periodically showing off her tail. 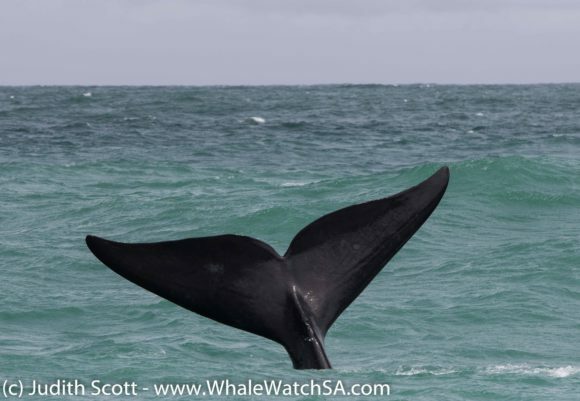 This behaviour, of a whale keeping its tail in the air, is known as sailing. 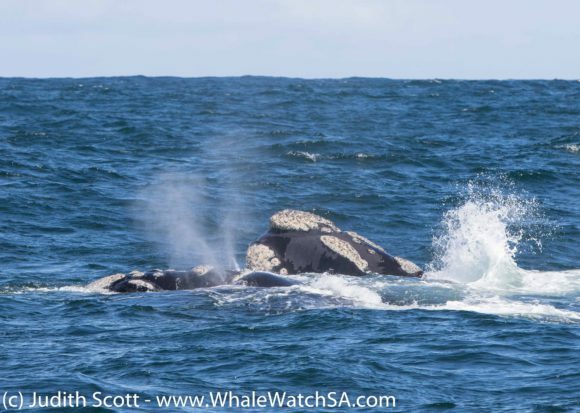 Although it may be seen in a couple of other whale species, the Southern Rights are pretty famous for this gorgeous display and do it for reasons that are not yet known. 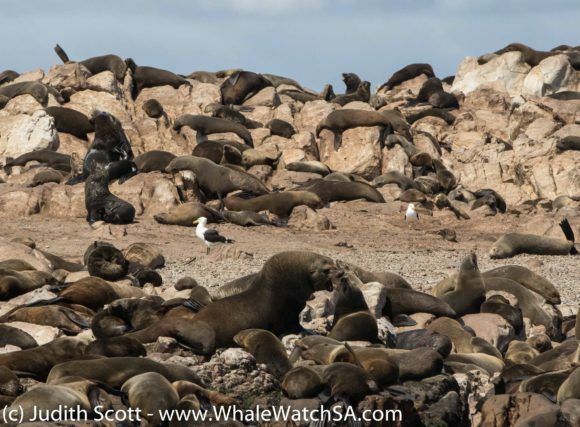 On this trip, we also got to see our seals and a few Penguins. 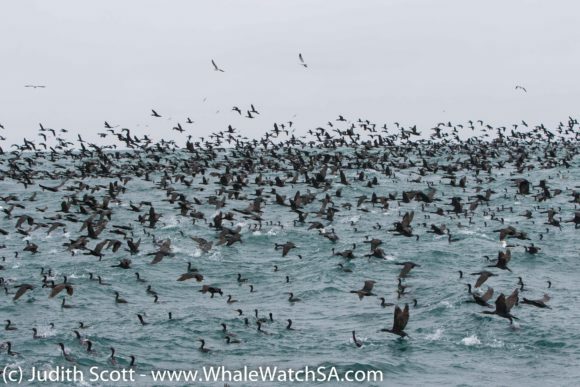 The very last stop of the tour was another magnificent spectacle, when we had thousands of Cape Cormorants flock to the water. These endangered little black birds often go out fishing in these mega flocks, with Kelp gulls in tow. 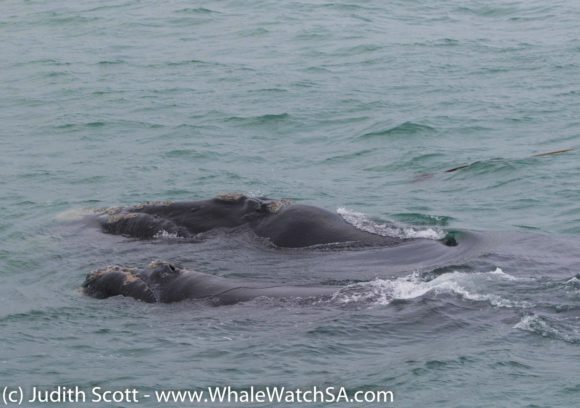 Our final trip of the day had the encounter of a lifetime a little deeper into the bay when we came across yet another mother and calf pair. 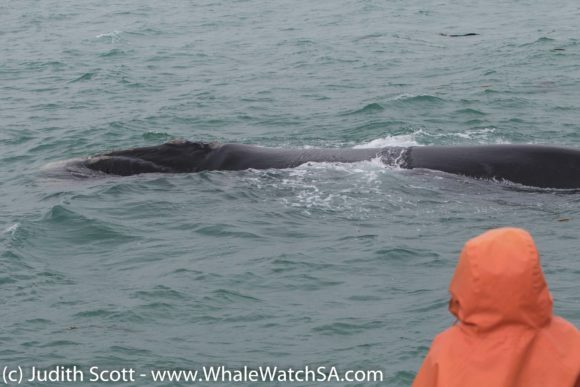 At first, the whales kept a cautious distance from us before relaxing and then, the magic happened. 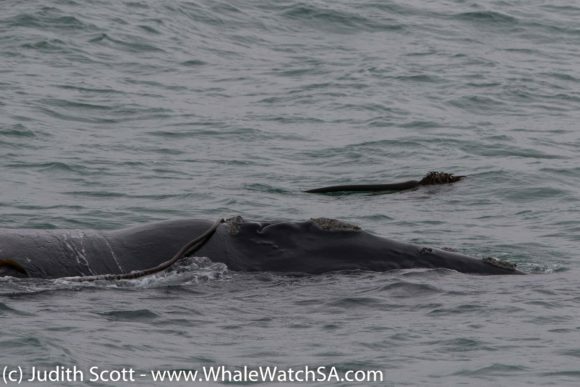 As the mother began to pay with some kelp, the little once came in for a closer look at the boat. This curious little fellow moved all around the bat, with mom joining about half way into this awesome sight. 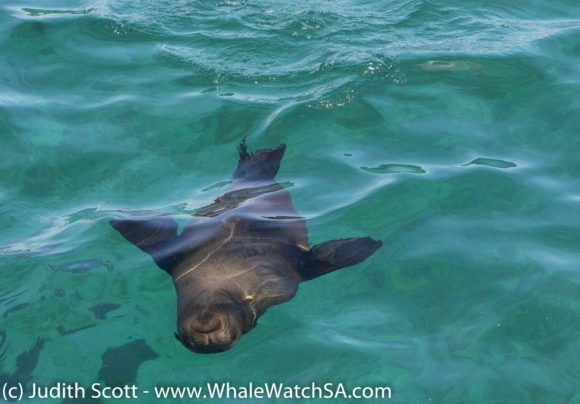 She was incredibly relaxed, with the calf swimming between her and us. 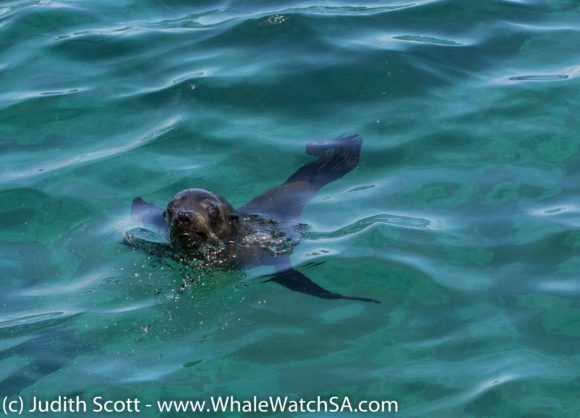 Once at the front of the boat, mom found some more kelp to fool around with whilst baby kept checking us out. They dived under the boat a little while after this, coming back up on the left hand side before slowly moving off again.